The University of the Pacific (Stockton, CA) is partnering with the Big Sur Marathon Foundation to offer the Just Run Youth Fitness Program as an accredited UOP course. Graduate Level Semester Units can be earned by participating teachers. 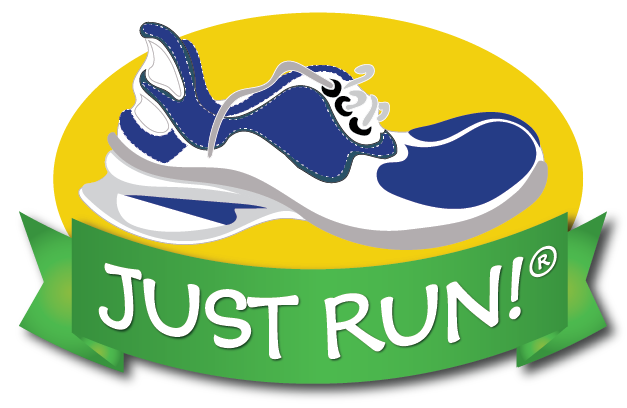 INFORM THE JUST RUN PROGRAM DIRECTOR WHEN YOU REGISTER FOR A UOP JUST RUN COURSE. INDICATE FOR WHICH PART YOU REGISTERED: PART 1, 2, 3, OR 4. REQUEST A COURSE SYLLABUS; IT WILL BE EMAILED TO YOU. REGISTRATION WILL NOT BE ACCEPTED BY UOP AFTER 6 WEEKS OF THE ENROLLMENT DATE. Fall courses begin September 1st and winter/spring courses begin February 1st. FINAL PAPERS/SUMMARIES WILL NOT BE ACCEPTED AFTER 2 WEEKS OF THE COMPLETION DATE. Fall courses end December 15th and winter/spring courses end May 15th. 1. For the UOP JUST RUN Part 1 registration form click HERE. For the UOP JUST RUN Part 2 form click HERE. For the UOP JUST RUN Part 3 form click HERE. For the UOP JUST RUN Part 4 form click HERE. 2. Download, print, and complete the form. Go to Quick Start Guide on the JUST RUN website. Follow the step-by-step guide to participate in the program. You will be contacted after you submit the online Volunteer Application. Please note that you do NOT need to submit a Volunteer Application if you are a listed teacher in a participating, registered JUST RUN school program. Program Materials: A Leader Manual will be provided free of charge. All other materials required for successful implementation of JUST RUN are available on the program's website. Completion of Part 1 is a pre-requisite. UOP students will additionally introduce and monitor successful participation in the Just Deeds component of the program, along with Part 1, with their students. Just Deeds forms need to be distributed to the children and deeds recorded on the website. Completion of Parts 1 and 2 are pre-requisites. In Part 3 you will continue to implement Part 1 and Part 2 and will be required to distribute the Just Taste form to your students. Discuss with your students the components of a healthy diet. Define and review the characteristics of Fruits, Vegetables, Nuts, and Legumes. This information is on the JUST RUN website. Determine how many of the listed items the children must taste and study in order to receive their Just Taste Certificate of Achievement. Part 4 is the JUST RUN completion course, a continuation of Parts 1, 2, and 3. In JUST RUN Part 4 the major focus is to devise and orchestrate a JUST RUN event. Part 4 is a high-level course, demanding extra time, effort, and a continuing commitment to the program and youth fitness, worthy of graduate level credits. This course requires self-directedness and creativity. All basic aspects of the JUST RUN program (parts 1 - 3) must be maintained. Event suggestions are listed on the syllabus. In JUST RUN Part 1 the student will be evaluated by a review of their class's involvement in the program as indicated in the JUST RUN Across the USA statistics - the number of children entered and the number of miles logged. In JUST RUN Parts 2 and 3 the student's involvement in Just Deeds and Just Taste will be evaluated as well. In JUST RUN Part 4 the evaluation will be based on successful completion of all aspects of the program and on the description of the student's created event, how it was implemented, who participated, materials and equipment utilized, how many children participated and/or were involved and the event's outcome. At the completion of all JUST RUN courses, a summary of the teacher's experiences, both positive and negative, and/or comments and feedback are required. The submission should be indicative of quality graduate-level work. Submit your paper to Susan Love, JUST RUN Program Director. Include your school, grade level, number of students, miles logged, and, if relevant, the number of deeds earned. Final grades will be forwarded and posted with the University of the Pacific. UOP will confirm final grades and send each teacher a form to order official transcripts. Note: Parts 1 - 4 will be offered during the UOP fall and winter semesters.